The Library’s core workshops have been mounted in the Links section of our new home page under the heading "Research Skills Tutorial." Senate regulations require that these workshops “be integrated as a required component into each undergraduate program in the earliest-level course (or courses) that expect(s) the use of the library." However, we encourage you to make these workshops a compulsory part of any course requiring the use of library resources. The workshops teach students library fundamentals; they require no class time on your part; they may be done at any time by students; and best of all, once they have been done, they need not be done again as students can print off as many certificates as they require. Students need the information in these workshops if they are to exploit the library to the fullest. If you would like your own password, please contact the E-Learning Office, ext. 3962. In addition to the online workshops, special in-class instruction in your discipline is also available. To make your arrangements, contact your archivist or librarian. 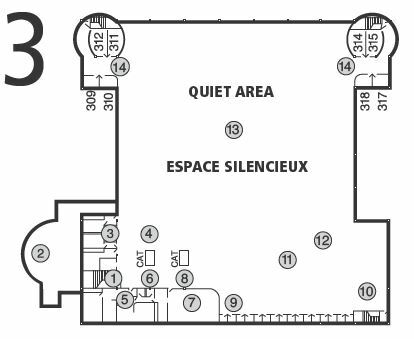 The Library has small rooms available that may be reserved on special occasions for classes. Contact the Borrower Services Desk, ext. 4800. 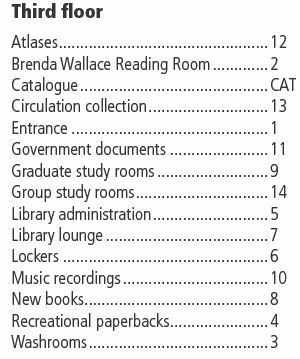 The Brenda Wallace Computer Centre, which has 25 terminals, is available for your classes. To book, contact your librarian. Numeric and geospatial data are available for teaching and research. Laurentian has a site licence for software such as SPSS and ArcGIS Desktop. For assistance, contact gis@laurentian.ca. Photo identification cards are the property of Laurentian University and are used by University faculties, services and staff to identify you as a member of Laurentian and to give access to campus services. 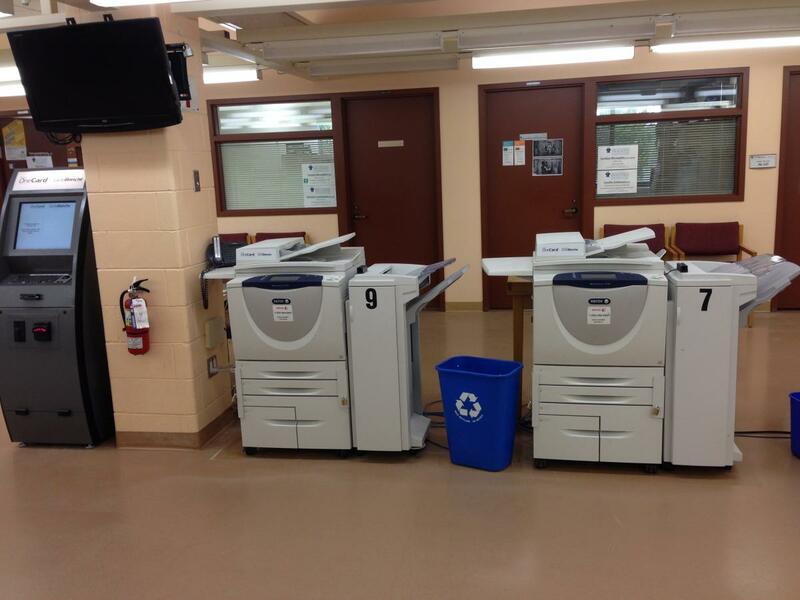 These include library privileges, photocopier use, cafeteria, and entrance to the gym. For faculty, these cards are available at no charge from the myLaurentian Hub located on the first floor, R.D. Parker Building (formerly known as the Registrar’s Student Service Centre). Each year, the library has over 1,000 high school students participate in orientation sessions, and we have space available in the classroom for attractive unit/program promotional brochures and posters. Contact Ashley Thomson, ext. 3322. Librarians are available to give you personalized assistance in conducting literature reviews. An institutional repository (IR) is a database with a set of services to capture, store, index, preserve and redistribute a university's scholarly research in digital formats. As a general rule, IR technology has been developed to support the open access model of dissemination. Laurentian’s institutional repository LU|Zone|UL has distributed and preserved the scholarly work of LU faculty, in addition to Master’s theses and doctoral dissertations, since 2007. Faculty may borrow a maximum of 50 books. Books are due 120 days from the date of borrowing, and are subject to recall after 3 weeks if requested by another borrower, or after 3 days if required for Reserve. Faculty may renew books once using the My Account link in the catalogue; for additional renewals, books must be presented at the Borrower Services Desk. Late returns are subject to a fine of $0.50 per day per item. For more information, please contact Borrower Services. For items with a loan period of more than 4 days, a reminder notice will be sent to the email address associated with your library system account before the item is overdue. Two overdue notices will be sent to the same email address after the item is overdue. After an item is more than 30 days overdue, you will be sent another notice, and a $5 fine will be applied to your account. Your username and password are the same as your Gmail and D2L account. If you do not know your password, click the "Forgot your password" link below the login screen. The reserve collection, periodicals, the reference collection, newspapers, as well as indexes and abstracts are located on the second floor. 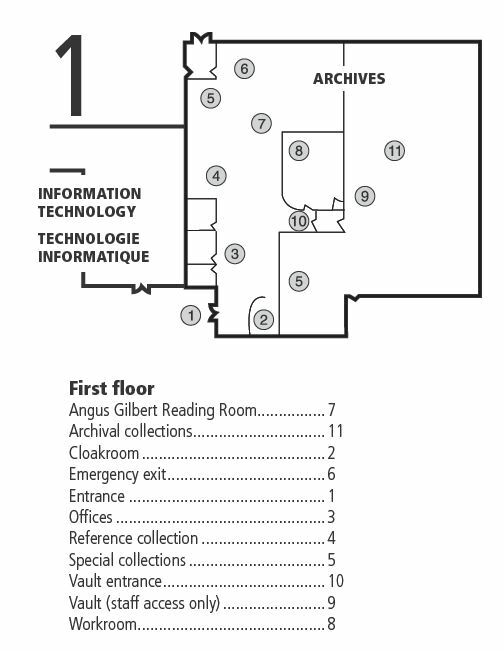 Circulating books, recreational paperbacks, atlases and the government documents collection are located on the third. The Archives, located on the first floor of the Desmarais Library, houses the following special collections: Regional; Faculty; Mining Environment Vertical Files; Rare Books; 4th Years Honours Essay and Theses; and Archives. The J.N. 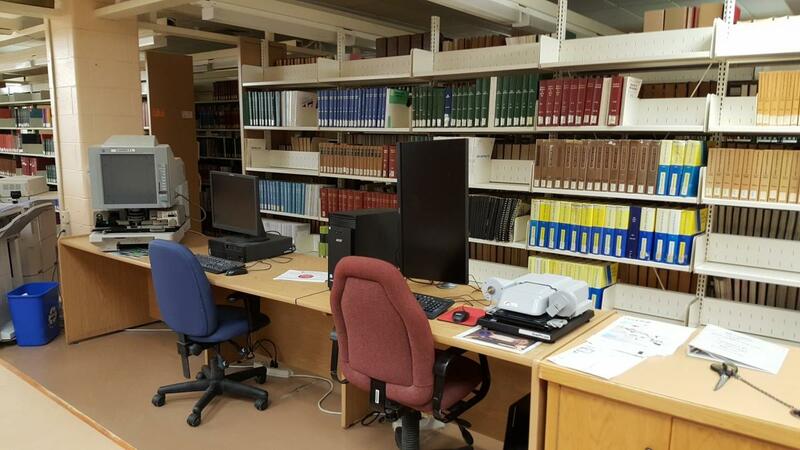 Desmarais Library also contains several specialized collections spread throughout the building such as the Collection franco-ontarienne and the Mining Environment collection. E-books are a terrific new resource that the library in acquiring, largely because they may be accessed anywhere there is an internet connection. Access to Laurentian’s library collections starts with the catalogue. Electronic collections are also available from off-campus through our proxy server. For faculty, the default log-in and password are your Novell log-in and password. For assistance, contact Information Technology, 706-675-1151, ext. 2200. Books within the library are accessible through the catalogue in various ways including by author, title and subject. So too are all the special collections housed in the Archives as well as government documents . If you need help finding government information in print or online, consullt Mr. Tomasz Mrozewski, ext. 3325. Periodical articles are found using online indexes and abstracts from the library’s home page from on- and off-campus. For recommended databases and other online and print resources by subject, click on the "Databases" link on the home page. The library subscribes to over 50,000 periodicals in full-text electronic format. For those available only in print or in microformat, use the catalogue to see whether the J.N. Desmarais Library has the periodical title containing the article you want. Like books, periodicals In print are organized on the shelves by Library of Congress call number; periodicals in microformat are organized by title. Finding aids for Laurentian’s archival fonds are most easily accessed from the Archives or contact Ms. Marthe Brown, ext. 3339. 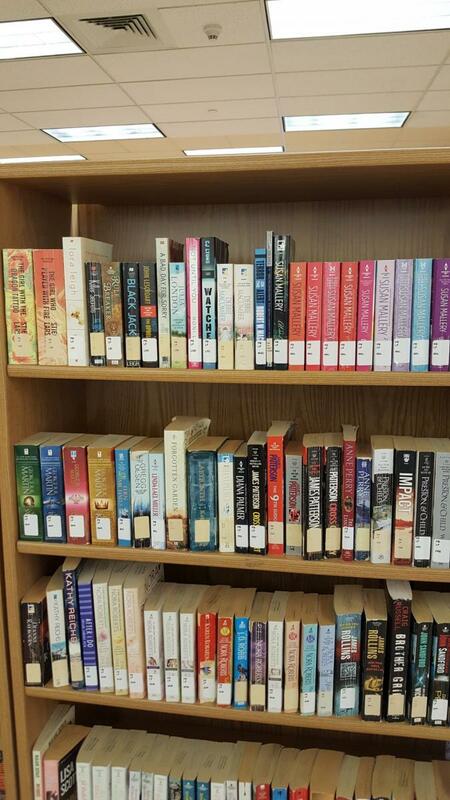 A selection of popular paperbacks, most contributed by the SGA, is available on the third floor. In 2011, graphic novels were added to this collection. All DVD's formerly in the Instructional Media Centre have been moved to the 2nd floor and equipment is available on site to view such films. If you wish a DVD or VHS tape for class purposes, please search the Watmedia Catalogue to ensure it is available--and then email Laurentian Interfilm with the specifics of your request, including the date(s) you will need the item. Plan ahead a couple of weeks before submitting your request. For more information, contact Ashley Thomson, ext 3322. Librarians are responsible for ensuring the balance and integrity of the collection by working in close collaboration with departments, schools and program leaders. You can request the addition of books, journal subscriptions, or research databases. Library representatives, selected by their colleagues, are the departmental/school/program contact persons. Library representatives are encouraged to assist librarians in developing a collection that will support the academic needs of students and the research needs of faculty. To ensure that the available budget is expended responsibly, we strongly encourage all ordering units to submit orders to their unit's library representative by the end of December. Library representatives will pass these orders on to the librarian responsible for each discipline. The Library normally does not purchase two copies of a book; it does not as a general rule purchase textbooks. Please send copies of your assignments/reading lists to the appropriate librarian so that the Library can determine whether the items are available. You will be contacted if there are any problems regarding specific titles. The Library welcomes gifts of either money or materials and is prepared to offer a receipt for income tax purposes. Materials are added to the collection as appropriate. To donate money, contact the Laurentian Development Office. To donate materials, contact Ashley Thomson, ext. 3322 or for archival material, Marthe Brown, ext. 3339. If you have published a book, we would appreciate your donation of a signed copy for the Faculty Authors’ Collection and a second copy for circulation. All donations are acknowledged, and you will receive a charitable donation receipt upon request. We strive to make faculty publications available within a day of receipt. Contact: Ashley Thomson, ext. 3322. The Laurentian University institutional repository, called LU|ZONE|UL, enables you to deposit electronic copies of your journal articles, creative works, presentations, and other scholarly materials to support open access to information and significantly increase the visibility and impact of your work. For more information, contact Ashley Thomson, ext 3322. 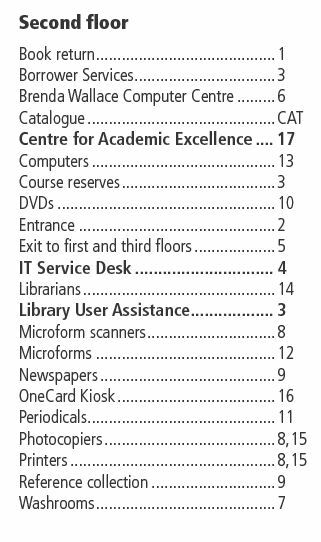 The library places material on reserve for courses at the request of faculty. Use the Online Reserve Form to have books or DVDs from the library's collection placed on reserve. You may also put personal copies on reserve. To ensure that the material you want is available when needed, please contact the Access Services Desk at least 1 week ahead of time. If any item must be ordered from a supplier, please allow at least 2 extra weeks for the order to be processed. Please use D2L to post any articles or chapters required for your course readings. Detailed guidelines for the Reserve collection are available from the Access Services Desk, ext. 4800. For further information, contact Brent Roe, ext 4841. For material not held in the J.N. Desmarais Library, use RACER. Normally articles are emailed to your Laurentian account. Books must be picked up at the Borrower Services Desk. Please note that you must register before launching your first request. There is generally no charge to obtain either books or articles although small changes apply if ordered items are not picked up within three weeks. A book may only be borrowed once. It may not be renewed or borrowed a second time. Books which are not returned on time also incur a charge of $1.00 per each day overdue. For further information contact Ashley Thomson, ext. 3322. Faculty who visit other university libraries in Canada may borrow directly from these libraries with a valid ID card, and may return their books at Laurentian at no charge. For information, please contact circulation@laurentian.ca. 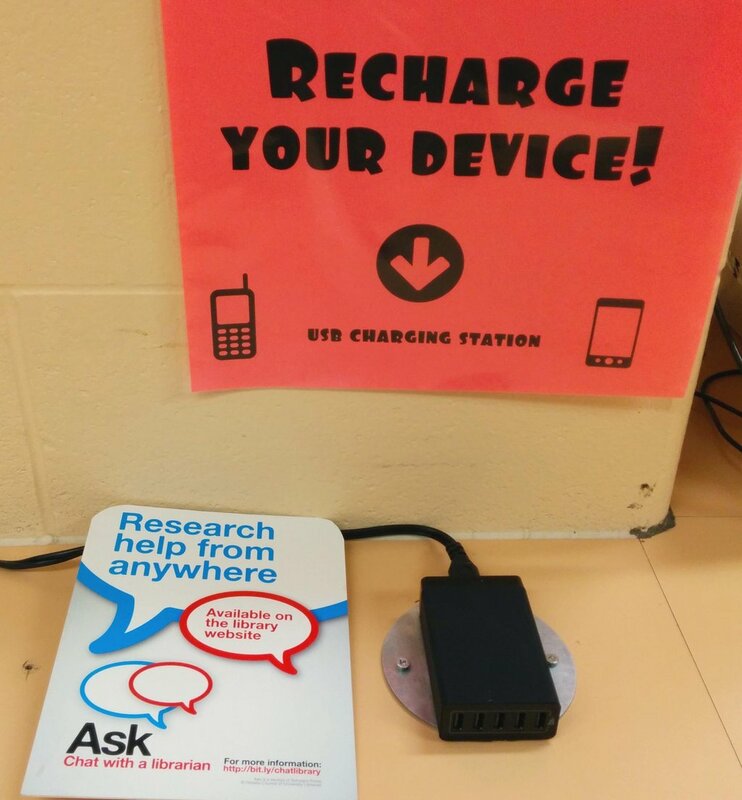 Students can borrow chromebooks, laptop chargers, cell phone chargers, external DVD/CD ROM drives and scientific calculators at the Library User Assistance Desk. For details, contact Borrower Services. 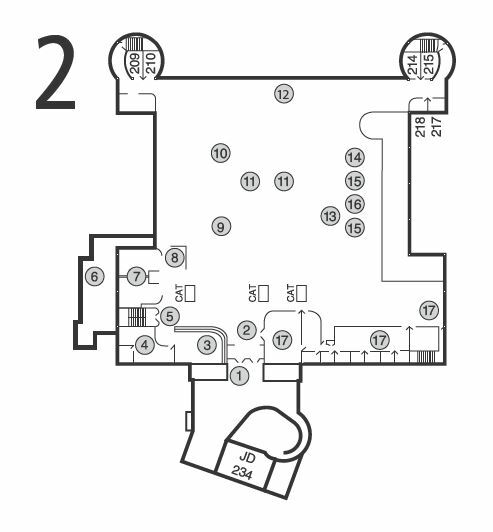 One card photocopiers are located on the second floor. Your student photo ID card serves as your photocopy card. Visit the "One Card" machine in the Learning Commons to add money to your card, or go to http://lul.ca/onecard to add funds electronically. With a card, the cost per page is 9 cents. You can scan from any of the library photocopiers and email the output to yourself. There is no charge for the use of this and it is capable of scanning in black & white, grey, or colour. For help using the photocopiers to scan, please ask for help at the Borrower Services Desk. One card printers are located in the Learning Commons on the second floor. Printing is available in black & white or colour. Once the document is sent to the printer, simply swipe your card at the one card copier and your copy will be released. New equipment has been placed in the Microform section of the second floor, which gives you the option of converting pages on microform to .pdf documents. Plug your cable into our USB charging station to top up your phone or tablet - located by the microfilm machine. Collection Development Policy (pdf file) - to view specific details of the Collection Development Policy. We are always interested in your opinion about our collections and services.